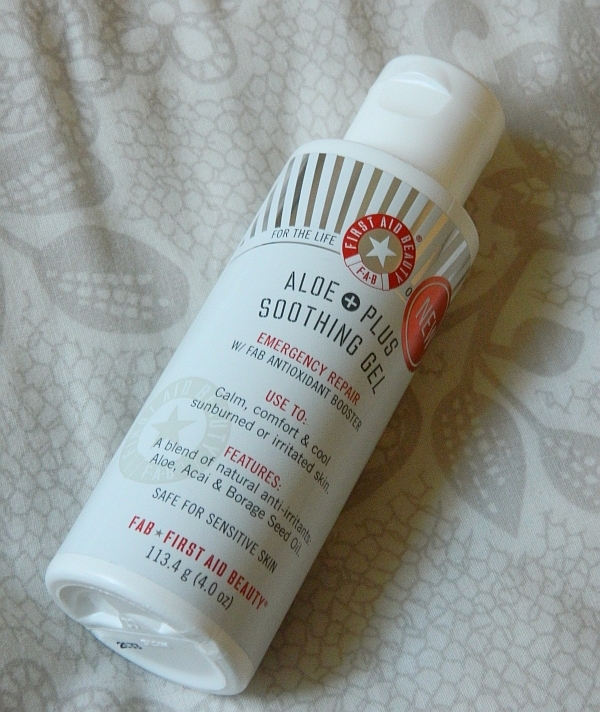 Last week I was sent the 'Aloe Plus Soothing Gel' from First Aid Beauty (FAB) to review. I hadn't actually come across FAB before, so I decided to do my research, so I could share a little background information with you all. If like me you have sensitive skin, they will be a company of interest to you! The brand: First Aid Beauty was launched in 2009 after Lilli Gordan (a beauty industry veteran) felt that there was a lack of luxury beauty products for people with sensitive skin. They were either too 'medicated' or heavily perfumed, which can often cause irritation. She created First Aid Beauty to provide effective luxury products that treat skincare issues like eczema and acne. The product: Aloe Plus is a soothing gel that cools and calms your skin, whilst also reducing irritation. It is free from harsh chemicals and known allergens like parabens, alcohol, fragrances and artificial dyes, and can be used by people with sensitive skin. does cool your skin down as soon as you've rubbed it in. It is light on the skin and soaks in straight away, so you are left feeling fresh rather than sticky or greasy. I also like the fact that it is fragrance free, as I sometimes find that perfumed products can be a little too much on my face, especially in the evening. I actually got quite badly sun burnt a few weeks ago (remember when we thought Summer had started?) and could have done with using this product then! Obviously I am not hoping to get sun burnt again (it's never going to happen in this weather anyway) but if I do catch the sun at some point, I will definitely be applying Aloe + in hope that it works its magic. The Packaging: FAB tend to keep their packaging very simple looking, as they believe its more important to concentrate on what's inside! 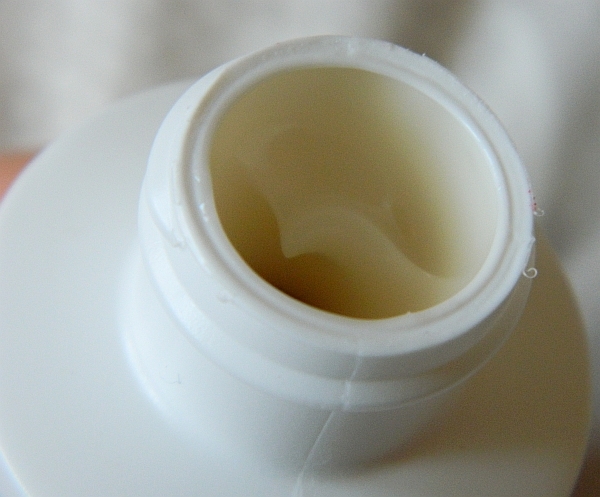 As you can see in the image above, Aloe + comes in a white squeezy bottle, featuring red, silver and grey text. It clearly states what the product is, what it is used for and what ingredients have been used to make it. The packaging isn't the sort that would really make the product stand out amongst others on a shelf in a store, however I quite like how simple it is, as it reflects the 'natural' ethics and values that the company promotes. As much as I like the product, I don't feel like I 'need' it, but it is a nice addition to my skincare routine. I think it is definitely worth a try if you frequently suffer from heat rashes, or irritated skin. First Aid Beauty have a whole range of products suitable for sensitive skin types. I can definitely see myself purchasing from them in the near future, as I really like what the brand stands for. I would particularly like to try their facial radiance pads and ultra repair beauty balm. Have you tried anything from FAB before? Time to get your sunnies out?